Our Recap Of NBC’s THE VOICE Season 5 Episode 17-A “The Live Top 6 Performances” and Episode 17-B “The Live Top 6 Eliminations” with highlights including; videos, photos, coach’s comments & more. THE VOICE Season Five Episode Seventeen “The Live Top Six Performances” each artist performed two songs on Monday night, one song of their choice and one song chosen by their coach. 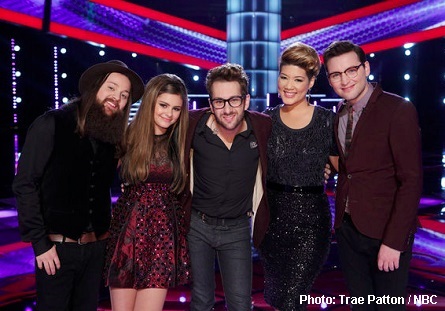 Pictured: The Voice Top 6 with host Carson Daly (center). Adam’s song choice – “Redemption Song” by Bob Marley. Matthew dedicated his song choice to his family – “Story of My Life” by One Direction. Twitter Question #AskCarson – How was Blake’s Thanksgiving:? Who is CeeLo Rooting For – Partial to Cole. Will dedicated his song choice to his wife and daughter – “A Change Is Gonna Come” by Sam Cooke. CeeLo said – “Will you definitely got soul and you got heart. James dedicated his song choice to his dad Song – “Fell in Love with a Girl” by The White Stripes. Christina’s song choice – “Cry Baby” by Janis Joplin. Cole dedicated his song choice to his first love, even thought they are no longer together – “Better Man” by James Morrison. Tessanne dedicated her song choice to her mom and dad – “Unconditionally” by Katy Perry. Christina’s song choice – “When a Man Loves a Woman” by Percy Sledge. Adam’s song choice – “Hey Brother” by Avicii. Adam Said – “I love that song it’s so many things, it’s just interesting blend of styles, Every time I hear you sing I want to hear more. Jacquie dedicated this song to her coach Christina – “The Voice Within” by Christina Aguilera. Adam’s song choice – “I Would Do Anything for Love (But I Wont Do That)” by Meat Loaf. WATCH – THE VOICE Season 5 Episode 17-A “The Live Top 6 Performances” originally aired by NBC on Monday, December 2, 2013. 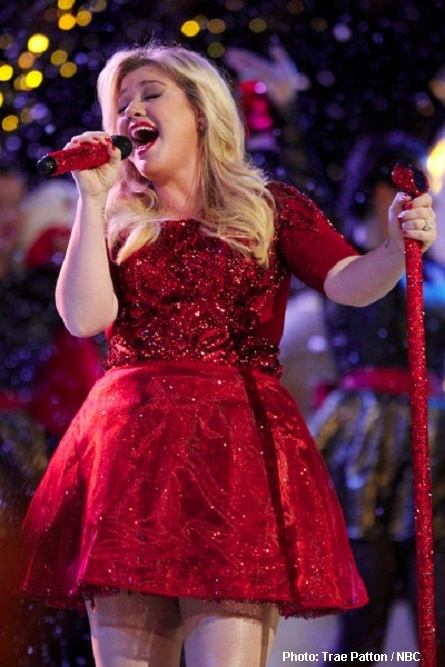 A Special Guest Performance By Kelly Clarkson Tonight! One elimination tonight transformed The Voice singers from the Top 6 to the Top 5. 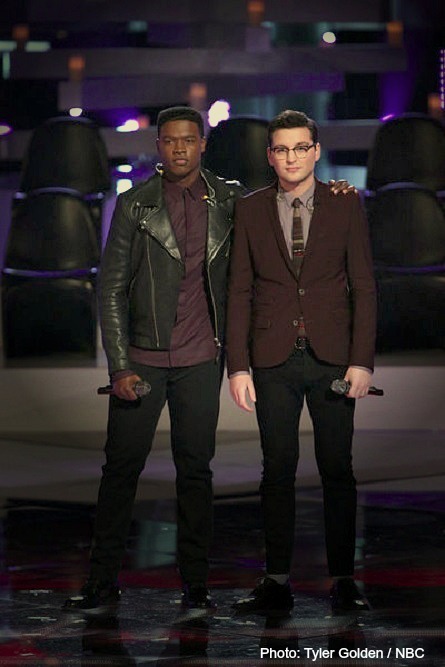 The elimination came at the end of the show which left Team Christina’s Matthew Schuler and Team Adam’s Jamew Wolpert standing side-by-side up for America’s vote on who would stay and who would go. Their fate rested on the Twitter “Instant Save” in which America voted for five minutes for which singer they wanted to see continue on in the competition. 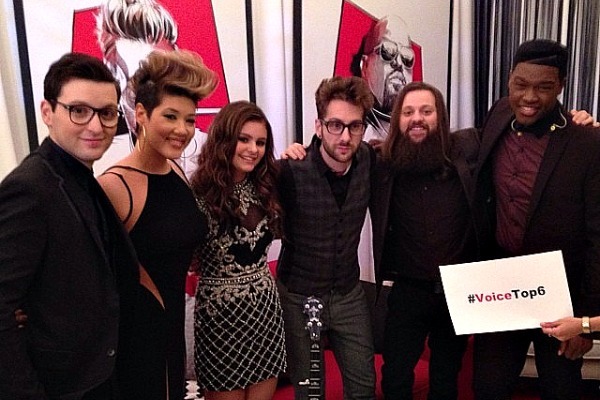 The singer with the most tweets with their names followed by #VoiceSave wins a spot in The Voice Top 5. During the five minutes of voting, host Carson Daly asked Blake who his prediction for the vote was. Blake said he saw “a whole lot of James votes,” and that when one of the coaches makes a prediction, it’s always wrong. At the end of the five minutes, it was revealed that the one singer that would continue on for another week in the competition was James Wolpert. 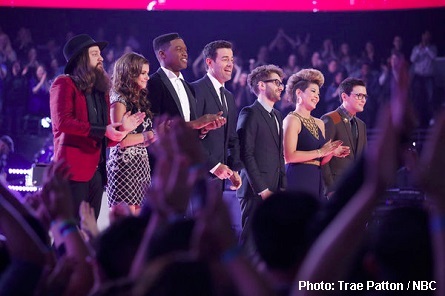 WATCH – THE VOICE Season 5 Episode 17-B “The Live Top 6 Eliminations” originally aired by NBC on Tuesday, December 3, 2013.